Cape Breton’s Original And Premiere professional wrestling promotion, East Coast Pro Wrestling returns with it’s first show of 2019! 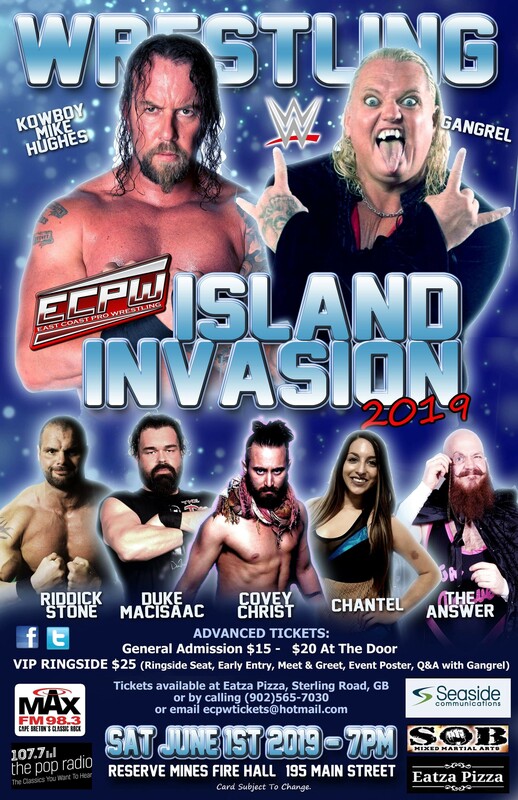 ECPW presents Island Invasion 2019 on Saturday, June 1st direct from our new home venue, The Reserve Mines Fire Hall! Bell time is 7PM. You will see in action the return of former WWE Superstar Gangrel, The ECPW Heavyweight Champion Kowboy Mike Hughes, Cape Breton’s own Duke MacIsaac, the drowning of the first ever ECPW Celtic Roots Champion, Women’s Action and so much more! Additional superstars and match announcements to come in the weeks ahead. Tickets are now on sale at Eatza Pizza, 17 Sterling Road, Glace Bay or you can call (902)565-7030 or email ecpwtickets@hotmail.com. VIP Ringside: $25 (Reserved Ringside Seat, Early Entry Meet & Greet, Event Poster, Q&A with Gangrel). General Admission: $15 Advance $20 At The Door. Bar service for 19 years of age and older. 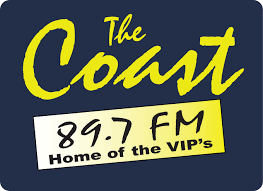 Posted by Sheldon MacLean on goCapeBreton.com where you can find and share everything about your local community.